The Smackover Buckaroos defeated Episcopal Collegiate on Friday night during the third round of football play-offs. The next round of play will be Friday night, December 6, at 7 pm. Smackover will play Glen Rose. Congratulations, Buckaroos and Head Football Coach Brian Strickland! Posted in Buckaroo News on November 30, 2013 by The Buckaroo Blog. Congratulations to the Smackover Buckaroos for their victory on Friday night against Melbourne! The Buckaroos will play Little Rock Episcopal Collegiate HERE on Friday night at 7 pm. Posted in Buckaroo News on November 26, 2013 by The Buckaroo Blog. The Pilgrims (First Graders) and Indians (Kindergarteners) feasted together in peace in the school cafeteria Monday morning. Supervised by parents, teachers, and administrators, the menu included “traditional” foods including popcorn, pumpkin pie, fruit, and apple juice. A special thank you goes to all of the parent volunteers who helped support the “alliances” made by these early Americans! We will be posting athletic schedules, weather cancellations, and other important information on the blog in an effort to keep parents and the community informed about the events occurring in the Smackover School District. Posted in Buckaroo News on November 25, 2013 by The Buckaroo Blog. Smackover Elementary School and Smackover High School will dismiss at 12:30 on Tuesday, November 26, for the Thanksgiving holiday. Smackover Preschool will remain open its regular hours; however, parents may pick up their preschool students early if they choose. Smackover Public Schools will be closed Wednesday, Thursday, and Friday, November 27-29, for the Thanksgiving holiday. If the weather conditions change, any cancellation notices will posted on The Buckaroo Blog. You can automatically receive email notifications from the blog by entering your email address in the section entitled Follow Blog via Email. Alert Now phone messages will also be sent out if inclement weather occurs. Please make sure that you have given your most recent phone number to the school offices so that we can ensure that you receive these important messages. The El Dorado Chamber of Commerce announced the grand marshals for the 2013 El Dorado Christmas Parade on Thursday. Each school district in Union County chose two fifth grade students to represent their school in this capacity. The parade will be held on Thursday, December 5 at 7 pm. Posted in Buckaroo News on November 22, 2013 by The Buckaroo Blog. 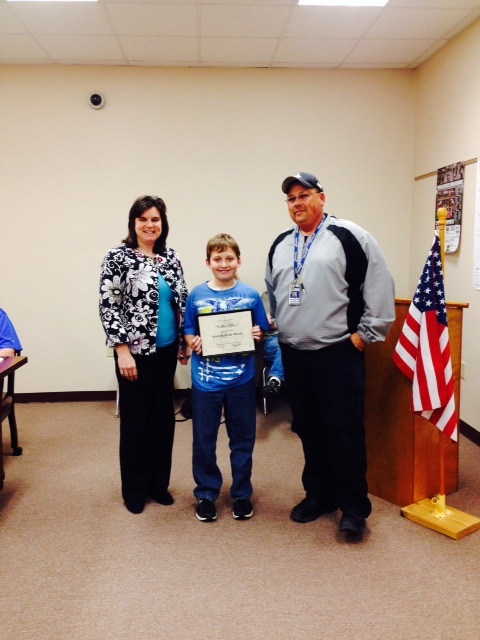 Recognized Mathieu Malin as the Student of the Month. Mathieu is fourth grade student at Smackover Elementary School who is a leader within his classroom and school, a high achieving student, and an encourager to his classmates and teachers. Recognized Karla Darden as the Employee of the Month. 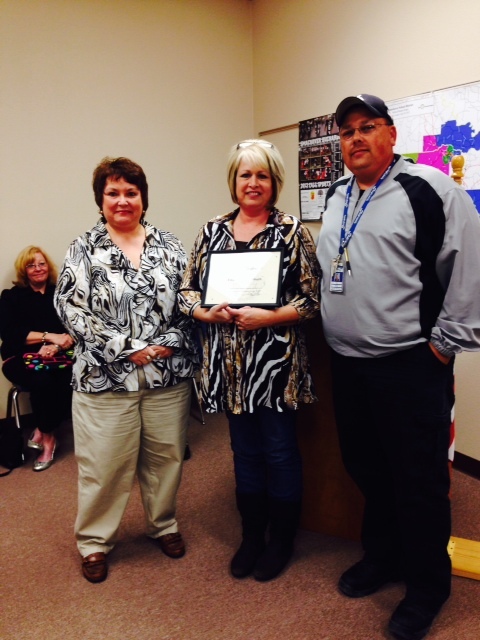 Ms. Karla has been a PreK teacher for over 15 years with the Smackover School District. She loves her students deeply and provides support and leadership to her co-workers. Recognized Smackover Elementary School for being named one of nine Exemplary Schools by the Arkansas Department of Education. Acknowledged the receipt of an Arkansas Better Beginnings (ABC) Preschool Incentive Grant of $1,000 and an ABC Professional Development Grant of $1,500. Received brief budget training provided by Business Manager Lori Willis. 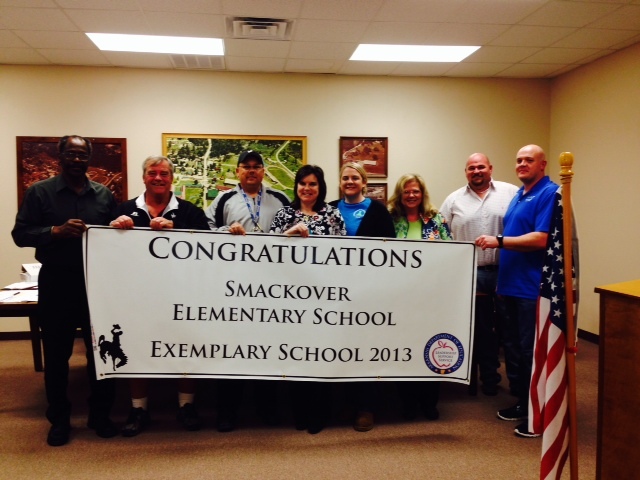 Smackover Elementary School Principal Holly Strickland, Mathieu Malin, and School Board President Joe Bates. Special Programs Director Teri Philyaw, Karla Darden, and Board President Joe Bates. Posted in Buckaroo Board on November 21, 2013 by The Buckaroo Blog. 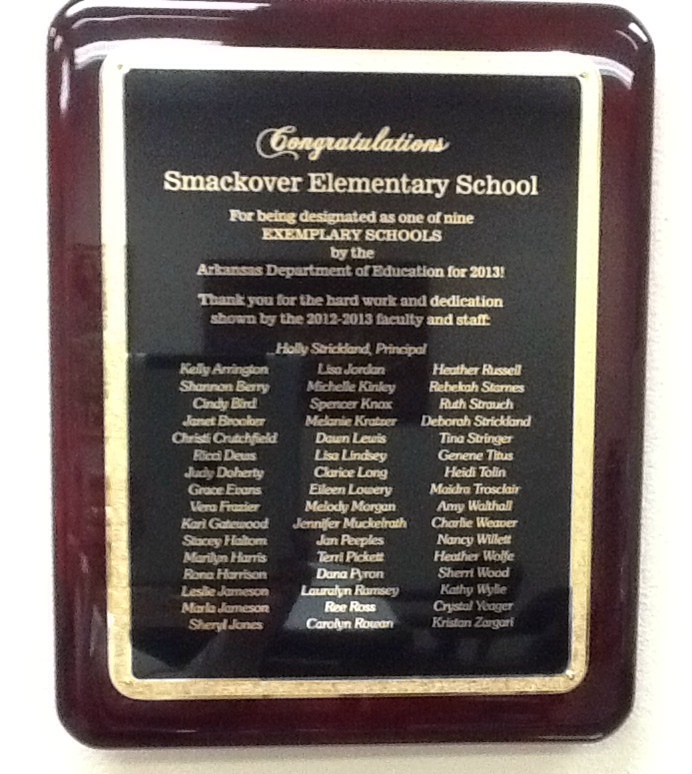 The Smackover School Board recognized Mrs. Holly Strickland and the Smackover Elementary faculty and staff for being named one of nine exemplary schools in the state of Arkansas for 2013. School board president Joe Bates presented principal Holly Strickland with a banner and a plaque recognizing the school for its high academic achievement. Smackover School Board Members Jerry Hegwood, Chris Long, President Joe Bates, Principal Holly Strickland, Heather Preston, Lynn Birchfield, Don Thomas, and Jeremy Ward. Posted in Buckaroo Board on November 20, 2013 by The Buckaroo Blog.